Sometime later, Don called to let me know that the doctors successfully pumped Carol’s stomach and that she was waiting for a psychiatric consultation. I met him at the ER about twenty minutes later. I was able to talk to Carol (she was still waiting for the psychiatrist to stop by). She was calm and visibly exhausted. We talked briefly about what had happened earlier in the day. As we talked, she confessed to overreacting to her disagreement with Don. Their history of loud arguing and her (overly) protective attitude toward her son had culminated in her meltdown. We have used EI as a springboard for thinking about the role of emotions in Christians’ lives and the implications for pastoral care. 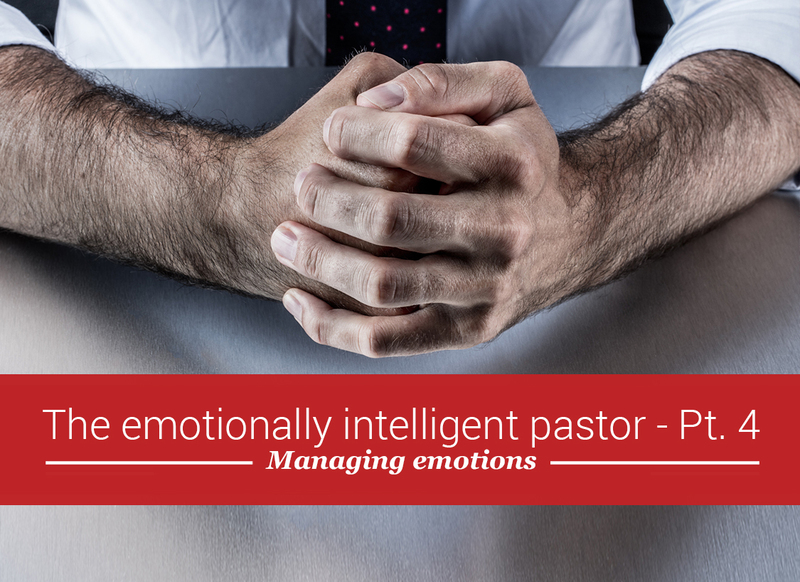 In The Emotionally Intelligent Pastor, Part 1, we saw how identifying and expressing emotions well is foundational to good communication and, thus, effective pastoral care. 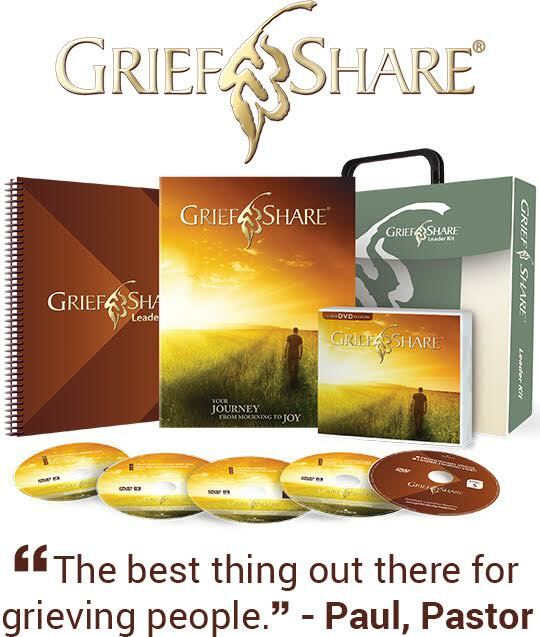 In part 2, we surveyed the biblical data that help us understand the common patterns associated with emotional experiences. From these data it is clear that emotions are involved in spiritual growth throughout our lives. In part 3, we considered from recent research how emotions can influence our thinking and decision-making. Pastoral care can be more effective if we strategically use selective emotional influences to augment our reasoning about different situations. In this article, we explore what it means to “manage” or “regulate” emotions, in accordance with biblical teaching, so as to promote spiritual growth. We will use Carol’s experience to illustrate how to engage the process of emotion management as a part of spiritual growth. Some emotional experiences, like Carol’s on that Saturday afternoon, can create havoc in our lives. Generally speaking, “they do so when they are the wrong type, when they come at the wrong time, or when they occur at the wrong intensity level.”4 For this reason, emotion management involves “how we try to influence which emotions we have, when we have them, and how we experience and express these emotions.”5 With appropriate, biblically informed emotion management, emotions are integrated into decisions and behaviors that are edifying and God-honoring. Thus, emotion management does not mean living a lackluster life of rigid suppression, but rather, learning to enjoy an emotionally rich life with self-control as a fruit of the Spirit. This is what Carol had to look forward to in her counseling. And it all begins with understanding emotion management in appropriate biblical categories. The most relevant biblical category that relates to emotion management is succinctly mentioned by Paul in Galatians 5:22–23: “But the fruit of the Spirit is love, joy, peace, forbearance, kindness, goodness, faithfulness, gentleness and self-control.” Paul’s quick mention of self-control raises some questions we need to consider: What did Paul have in mind by “self-control”? How does his description of self-control as a “fruit of the Spirit” relate to any effort expended on our part to experience self-control? “If you bite and devour each other, watch out or you will be destroyed by each other” (v. 15). “Since we live by the Spirit, let us keep in step with the Spirit. Let us not become conceited, provoking and envying each other” (vv. 25–26). This is not to say Christians needn’t be intentional and disciplined in they way their live their lives. Most of the fruit listed in Galatians 5:22–23 are elsewhere commanded in Paul’s epistles, indicating the need for planning, effort, and discipline in our lives. “Since an overseer manages God’s household, he must be blameless—not overbearing, not quick-tempered, not given to drunkenness, not violent, not pursuing dishonest gain. Rather, he must be hospitable, one who loves what is good, who is self-controlled,10 upright, holy and disciplined11” (Titus 1:7–8). “[Older women] can urge the younger women to love their husbands and children, to be self-controlled and pure, to be busy at home, to be kind, and to be subject to their husbands, so that no one will malign the word of God” (Titus 2:4–5). “Similarly, encourage the young men to be self-controlled” (Titus 2:6). “For the grace of God has appeared that offers salvation to all people. It teaches us to say “No” to ungodliness and worldly passions, and to live self-controlled, upright and godly lives in this present age” (Titus 2:11–12). How might you counsel her to develop greater self-control as a Christian woman? The first objective is to understand her experience with anger. This can be done in a couple of ways. You could talk to her about her previous experiences with anger. On those occasions, what was happening? Who was involved? What was done or said? At what point did she find herself getting frustrated? What did she say or do when she was frustrated? What did she hope to accomplish with what she said or did? What was the outcome? As she answers your questions, listen for her desires, goals, and expectations. Try to discern the extent to which her thinking, actions, desires, and goals reflected some understanding of God’s expectations of her as His daughter. I say “try to discern” because it might not be obvious right away, and depending on her level of spiritual development, she might not know how to express these realities clearly. Also keep in mind that getting these data from past experiences can be limited because our memories are not infallible records of the past.12 Of course, with your first conversation in which a problem is brought to your attention, you have only this option. However, with a commitment to further counseling, there is another possibility. You also could have Carol maintain a written or digital log of any future experiences with anger. Give her the same list of questions to answer as soon as possible after the frustrating events she experiences. When you later discuss her log entries, look for ways that she normally desires, thinks, and behaves in line with Scripture. This will be your starting point for helping her with emotion management.13 Developing self-control as a fruit of the Spirit occurs only as Carol intentionally tries to “keep in step with the Spirit” (Gal. 5:25). This, in turn, occurs only as she is being “transformed by the renewing of [her] mind” (Rom. 12:2; cf. Eph. 4:23)—that is to say, she desires to please God and seeks to view all of life from the perspective of His Word. As Carol gets into the habit of being more aware of when and how she experiences anger, she lays a foundation for managing her anger. She will hone the skills of perceiving and recognizing her anger (the first component of EI). As she answers questions about her desires, thoughts, and behaviors related to her anger, she will refine her understanding of how anger functions in her life (the second component of EI). Then, as she uses what she learns about anger in her life, in line with biblical principles, she will develop her skills of using her anger to make edifying choices (the third component of EI). Next, you would want to help Carol transition from being “reactive” with her anger to being “proactive” with it. In this way, she can better ensure that her experience of frustration is more reflective of the heart of God and does not lead to ungodly expressions of anger. Certainly, one possible way for Carol to control emotions (in terms of both their experience and their expression) is to alter situations she is in—or avoid situations altogether—so that she might not be tempted to react in ungodly ways. For example, if she finds that she is easily annoyed by an abrasive and arrogant co-worker, she might try to avoid interactions with that person as much as possible (Prov. 20:3, 23:9). Such a strategy probably wouldn’t be wise for dealing with her family members, however. Different emotions are associated with different personally relevant objects of our attention. Focusing on a real or imagined danger intensifies fear. Focusing on a horrible smell deepens disgust. Focusing on an overwhelmingly beautiful or powerful sight magnifies awe. Focusing on an unfair, insensitive, or seemingly unnecessary obstacle amplifies anger. The more Carol concentrates on whatever she considers offensive or unfair about someone else’s behavior, the “hotter” she will become. In some scenarios, she might be able to break concentration by humbly serving the other person in love (Gal. 5:13). Praying for that person and offering the person something he or she will appreciate are two types of service that can change the focus of her attention. It’s important in using this strategy that she be motivated by a desire to honor the Lord and that she keep in mind the larger context of her relationships. Otherwise, her efforts probably will be more manipulative than they will be ministry-oriented (cf. Luke 6:28, 36; Matt. 25:34–40). Changing how Carol thinks about an emotionally charged situation might involve helping her reappraise the significance of the situation for her life or reappraise her ability to deal with it effectively. My earlier comments about her realistic hope for change fall into this category of emotion regulation strategies. Another way for Carol to improve her thinking about handling a difficult situation is to seek counsel from a mature Christian. With respect to engaging in emotionally charged conversations with Don, she can inquire about how to fairly assess his point of view as well as learn how God’s Word should inform her goals, motives, and desires in the conversations. Learning how 1 Corinthians 13:4–7, Colossians 3:12–15, and Philippians 2:3–4 apply in these situations probably will be foundational in fostering the fresh, biblically informed perspective she needs. Try as she may, Carol might not be able to make adjustments early enough to prevent all troubling emotional experiences. But even if this is the case, she can still potentially short-circuit experiences of negative emotions that have started. She should be cautious, however, because there are many unhelpful responses to negative emotions that could tempt her: retreating to fattening comfort foods, clamming up, drinking alcohol, etc. A better alternative for Carol would be taking a prayerful time-out. She could let Don or Eric know she is getting frustrated enough to be concerned about how she might react. Then she can suggest that they resume the conversation at a future time. (I recommend that she offer a specified time so the others are not tempted to doubt her sincerity.) In the interim, she can pray for God’s guidance; she can think about any contribution to the conflict for which she must own responsibility; she can rehearse how she will state her complaint in an edifying way, giving grace to those who hear her (Matt. 7:1–5; Eph. 4:29). She will also be helped if she takes a walk or engages in some other physical activity, as this helps to use up some of the energy that gets stirred up with frustration. Always listen well enough to articulate others’ points of view before offering your own (contrast Prov. 18:2, 15). Always be honest (Eph. 4:25). Always choose words that will build up, rather than tear down, others (Prov. 15:23; 16:24). Always be eager to resolve difficulties as quickly as possible in order to not give the devil a foothold in your relationships (Eph. 4:26–27). If any of these rules are violated, agree to a nonverbal sign so that the offending party can confess and ask for forgiveness before moving forward with the conversation. Carol’s meltdown reminds us that emotions are an incredibly powerful element of our lives. Because they are tied to the values of our hearts, they reflect what is most important to us, but they also can be very chaotic if we are not centered on the Lord’s purposes for us. Because they are whole-person experiences, their presence grips our attention and thinking, compelling us to react to situations in stereotypical ways—ways that may or may not honor God. For these reasons, emotion management must be seen as part of spiritual growth and, more specifically, as part of the self-control we develop only through the Spirit working in our hearts. Managing our emotions is simply bringing them back in line with God’s original design, restored to us through Christ. The names used in this scenario are false names to protect the people’s anonymity. Eric is Carol’s son from a previous marriage. Don had no biological children at this time. This definition is based on the work of John Mayer, Peter Salovey, and their colleagues. See, e.g., John D. Mayer and Peter Salovey, “What Is Emotional Intelligence?” in Emotional Development and Emotional Intelligence, eds. Peter Salovey and David J. Sluyter (New York: Basic Books, 1997), 3–31. James J. Gross, “Emotion Regulation,” in Handbook of Emotion, 3rd ed., eds. Michael Lewis, Jeanette M. Haviland-Jones, and Lisa Feldman Barrett (New York: The Guilford Press, 2008), chapter 31, Kindle ebook. Eight of the fifteen vices in Gal. 5:19–21 have to do with relational problems. Of course, self-control also counters the excesses of drunkenness and orgies mentioned in Galatians 5:21. Interestingly, when Paul talked to the pagan governor Felix and his wife, Drusilla, about “faith in Christ Jesus,” he specifically did so in terms of “righteousness, self-control, and the judgment to come” (Acts 24:25). For any who would be followers of Christ, self-control is necessary for right conduct and attitudes, which will be the focus on Judgment Day. Though fairly translated as “self-control,” this is a different Greek word from the one Paul used in Galatians 5:23. Its particular nuance is brought out by another common translation for it in the New Testament: “be sober-minded” or “have sound judgment.” This is the root word translated as “self-control” in the rest of these verses from Titus 2. Behavioral self-control begins with thinking in disciplined ways about one’s goals in life and their relationship to God’s will. This word is the same root word Paul used in Galatians 5:23. There are two potential problems with recalling the past for data-gathering. (1) We do not have access to all of the details of past experiences (neither the details of our role in events nor all the details about others’ roles). (2) Whenever we “recall” a memory, we are in essence reconstructing it. These reconstructions can be influenced by subsequent experiences which get blended together with the event we’re focusing on. In addition, our recollections can be influenced by input from others, whose opinions and interpretations might not correspond with what actually happened. These problems are less likely when we are remembering a recent past event or a highly emotionally charged past event, but they are not totally absent. See Daniel L. Schacter, The Seven Sins of Memory: How the Mind Forgets and Remembers (New York: Houghton Mifflin Harcourt Publishing, 2002). I offer a couple of tools for this element of counseling people like Carol in: Jeff Forrey, “The Biblical Understanding and Treatment of Emotions,” in Christ-Centered Biblical Counseling, eds. James MacDonald, Bob Kellemen, and Steve Viars (Eugene, OR: Harvest House Publishers, 2013), 402–407. In both of these passages, Paul makes the incredible claim: “our old self was crucified” with Christ (Rom. 6:6); “those who belong to Christ Jesus have crucified the flesh with its passions and desires” (Gal. 5:24). Such passages, of course, must be used judiciously to inspire reasonable hope for change rather than allowing discouraged believers to assume it must not apply to them! The reality is, any growth in godliness is reason to expect future growth in godliness if we want to honor God (Phil. 1:6). 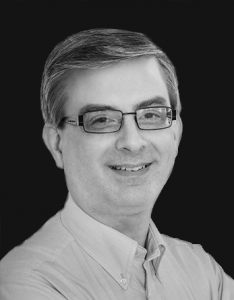 For a recent review of his thinking on this topic, see James J. Gross, “Emotion Regulation: Current Status and Future Prospects,” Psychological Inquiry 26 (2015): 1–26. Recall from The Emotionally Intelligent Pastor, Part 2: Emotions are whole-person experiences, involving both body and “heart”/“inner person.” We experience emotions—like all aspects of our lives—through our bodies. The condition of the body is always a factor to consider when emotion management is a goal. This conversation-structuring strategy was initially inspired by Jay Adams’s assignment he called the “conference table.” See Jay E. Adams, Competent to Counsel (Grand Rapids: Zondervan, 1970), 231–236.